Google Launches Video and Voice Chat for Linux, Finally! 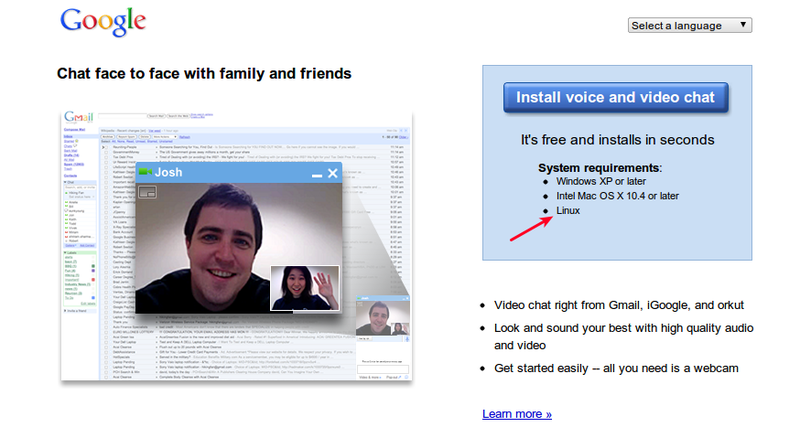 After 2 long years, Google finally releases Google Voice and Video Chat for Linux err.. not entirely though. Only a DEB package is available now. And hence only Debian based distros like Ubuntu can enjoy the merits of these changes for now. Goto Google Video and Voice Chat for Linux page. Click on the install button and a DEB package will be downloaded. Double click to install the package. I don't have a webcam in my laptop and so I can't test it. Try it yourself and let us know how it works.